So did you all remember to welcome Spring on Tuesday? Of course now we have this really unpredictable weather, cold...hot...rainy...sunny, hard to plan anything too far in advance. But we'll do the best that we can. I'm sure that when we get into Summer, we'll be wishing for these cooler days. So with that said, let's look at what's coming up in April. I would also like to remind you all that the Highland Avenue Auto Show in Rancho Cucamonga that was scheduled for March 17 was postponed due the rain on Saturday and has been rescheduled for Saturday May 5. For more details on any further show changes you can check out their website at www.highlandave.org. And, as always, if you have a show or event coming up and would like to get the word out, I'll be happy to include in my newsletter. Just email me at caeperformance@aol.com with all the details and include a flyer that I can display to my counter customers as well. 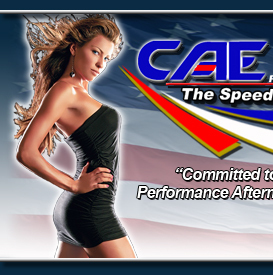 And for a full list of shows you can go to our website at www.caeperformance.com and click the tab at the top EVENTS. If you are on facebook I'd like to invite you to check out our FACEBOOK or if you'd like to be our friend and keep up to date on shows and other events you can go to our websites HOME page and scroll to the facebook icon and send a friend request. Please be sure to "LIKE" us while you're there. As some of you know I like to add pics of your cars to our website, well I will also be adding them to our facebook page, so you can email me with pics or videos of your car and I'd love to get up up there. And in case you didn't know, The Speed Shop is now on YELP, a great way to find what you're looking for and tell your friends about where to shop, and also give reviews on your experience. It is also a great place to stay in touch with any special YELP promotions we run. So visit us there!! !